Over Waterford’s Spring Break, Utah held its State Mathcounts competition—one of the most competitive Middle School Math Contests in the country. Mathcounts is open for schools to send students from Grades 6-8. Waterford School was represented at the state tournament by our team of four: Kiran R. ’25, Ujan R. ’25, Nathan K. ’24 and Shayan P. ’24 who had all previously qualified at the Regional Mathcounts competition held at Waterford School in February. Our team is coached by Upper School students Tarun Kumar M. ’21, Masaki T. ’21 and Daniel S. ’19. The Waterford Team took 3rd place at the Chapter Competition and 6th at the State Competition. Kiran R. ’25 placed fourth in the State Competition! 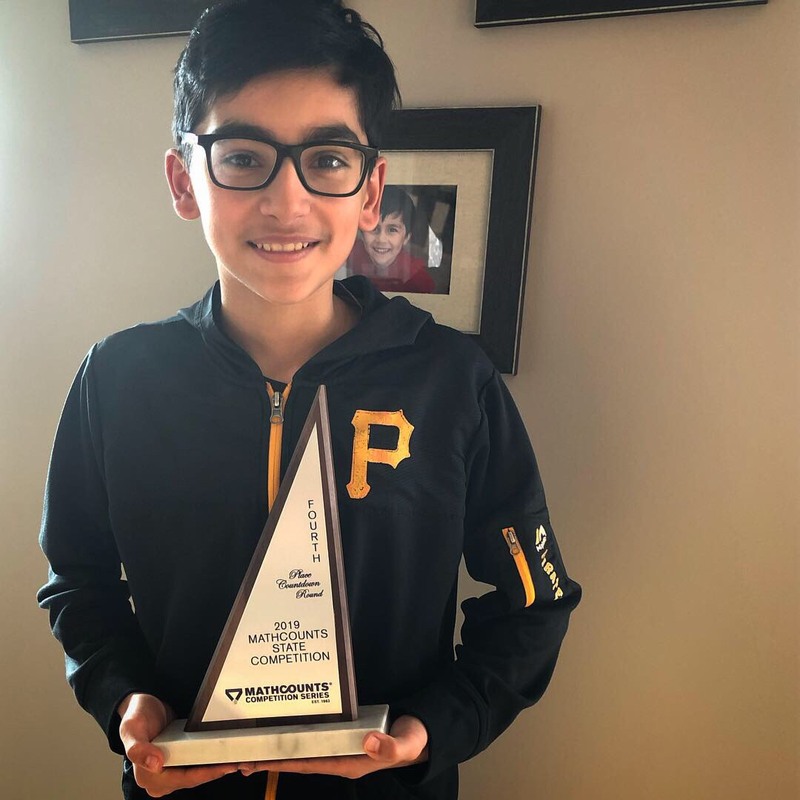 By doing so, Kiran qualifies to compete on Utah's team at the National Mathcounts competition held in Orlando, Florida in May. He will join a student from each, West High, Wasatch Jr. High and Rowland Hall, to form the Utah team. 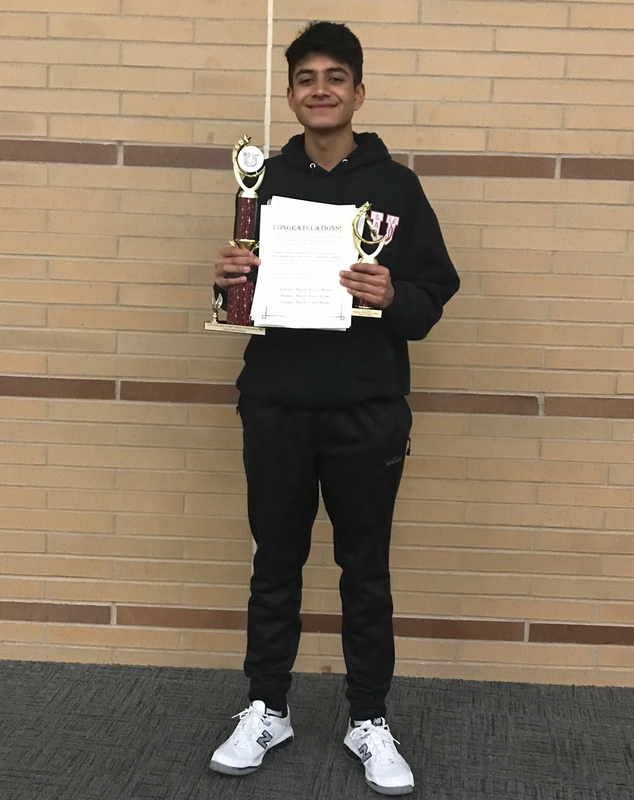 Kiran will travel with the team, and his trip and accommodations are paid for by the Utah State Chapter of the Mathcounts organization. His family, including brother Liam R. ’27, will join him to cheer him on. This is a huge accomplishment, one that our Waterford team has worked hard to accomplish every year—sending a student to the National competition every year for the past five years. If you see Kiran or the Waterford team, please help us congratulate them! Additional accomplishments in math and sciences included three Upper School students who participated in the University of Utah Science and Engineering Fair. Tarun Kumar M. ’21 won 1st place for his work titled, A Novel Mathematical Model for the Early Detection of Dengue Fever using SIR Infectious Disease Epidemiological Compartments, Ordinary Differential Equations, and Statistical Computing, in the Physics, Math and Astronomy Category; Emma S. ’20 took 2nd place for her work titled Exploring Motivated Numeracy in the Behavorial & Social Sciences Category; and Shilp S. ’20 won 3rd for his work, Patient Compliant Non-Invasive Diagnostic Apparatus in the Engineering, Materials & Biomedical Category. Emma was also awarded the US Navy - Senior Division Special Award for the work she submitted. Tarun Kumar went on to win the Mu Alpha Theta Special Award, a recognition from the National High School and Two Year College Mathematics Honor Society for the most challenging, original, thorough, and creative investigation of a problem involving mathematics accessible to a high school student, as well as the Grand Award. As the USEF Grand Award Winner, Tarun becomes an ISEF finalist, and he will present his project at the Intel International Science and Engineering Fair in Phoenix, Arizona.